The Oklahoma City Thunder were put to the test battling the Denver Nuggets not even 24 hours after their 109-104 win over the Charlotte Hornets, but a night of poor shooting, too many attempts from 3, and allowing Denver to take control of the game early on resulted in the Nuggets taking the win at 105-98. Thunder shot 35.9 percent from the field making 37 of their 103 attempts taken, while they were 23.1 percent from 3 getting only nine of their 39 attempts to fall. 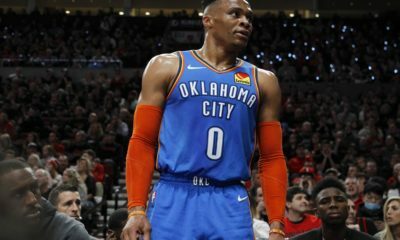 Despite Russell Westbrook having a poor shooting night from 3, going 1-12, he picked up his second triple-double of the season ending the night with 16 points, 10 rebounds, and 12 assists, and Russ stayed long after his teammates had gone home to go back to an empty Chesapeake Energy Arena and work on his 3-point shooting. The Thunder gave Denver a run for its money in the second half outscoring the Nuggets 56-42, but a slow first half determined the game from the get-go, and the Thunder picked up its seventh loss of the season. The Thunder will be in Oklahoma City for the remainder of the week not playing again until Wednesday night, and this will give Thunder players a time to rejuvenate after back-to-back games. Seeing Timothe Luwawu-Cabarrot in the starting lineup was an interesting call from Billy Donovan that I didn’t necessarily agree with, but I fully understand why it was a good call to be made. Dennis Schröder got the start the night before against Charlotte, and though he is not ideal for the wing position, he fit in so well with that starting lineup and helped the Thunder to come out to a much better start than what Thunder fans saw last night. But with the bench dropping like flies from illnesses and injuries, Dennis is a sure deal to make the bench a better unit by staying out of the starting rotation. This loss wasn’t a bad loss and something Thunder fans should be discouraged about. This team was due for this loss, and that may be a weird statement to make, but after winning 12 of their last 14 games, and coming in for a back-to-back against a team like Denver who is strong in shooting, This loss wasn’t totally unexpected, and there will be more losses like this that are inevitable when it’s an 82-game season. The Thunder will have time to go back to the drawing board and figure out what needs to be fixed. 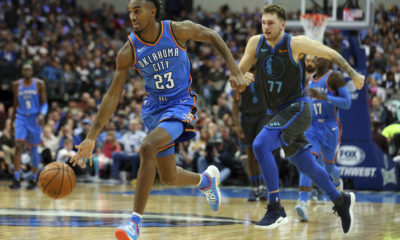 The Thunder won’t play again until Wednesday when the Cavaliers come to town, and this will be a time for guys to get healthy, rest to be had, and for Billy Donovan to outline some changes that need to be made. There’s not much else to be taken away from this game other than it was just an off night for the Thunder. 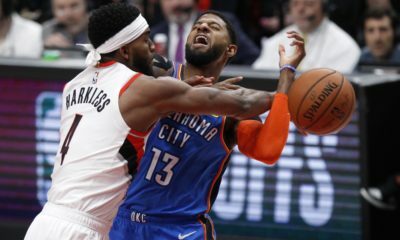 Shooting was poor, and even with the Thunder getting good looks on offense, shots just simply weren’t falling, and that’s something that will happen on occasion for any professional basketball team. No, Russell Westbrook is not a 3-point shooter, and no, shooting is not a strong suit for this Thunder team as a whole, but it’s something that will continue to be addressed in practices and on the guys’ own time, and other ends on the floor will have to step it up to make up for it. The Thunder will take on the Cleveland Cavaliers in Chesapeake Energy Arena on Wednesday night before wrapping up their homestretch with the Atlanta Hawks on Friday night. OKC falls to 12-7 in the regular season and 7-3 on their home court. 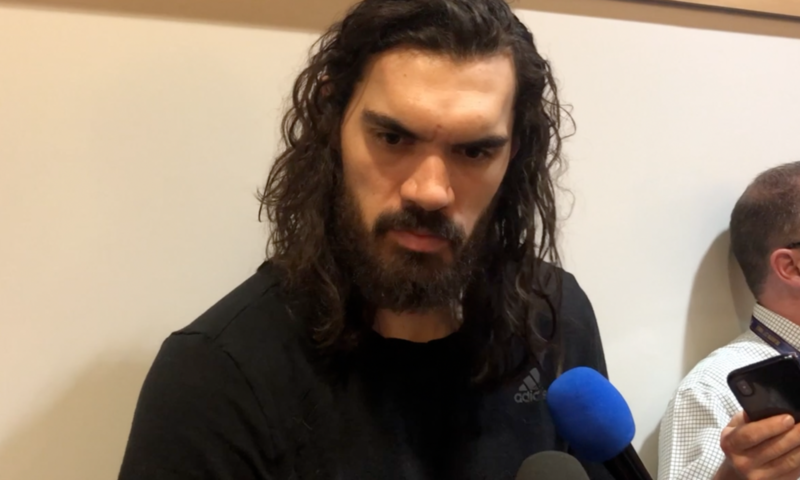 Watch below for full postgame pressers from Billy Donovan, Steven Adams, Timothe Luwawu-Cabarrot, and Deonte Burton.